At Agnostic, as implied by our name, we do not want any of our customer partners to be tied to a particular device or operating system. This unfortunately in the mobile world is now limited mainly to Android and iOS. However, it is still a pain point should there be a need for an evolving mobile application with features with multiple code-bases to maintain. In order to provide a better Total Cost of Ownership to our customers, we have researched, implemented solutions on a variety of cross-platform hybrid mobile apps such as: Phonegap, Cordovo and Xamarin. Whilst each one of these tools have their own set of advantages and disadvantages, we have gone with the approach of helping our clients who are either comfortable in maintaining the codebase later on with their own development team. Since most of our customers are also independent software vendors, it makes sense to not ask them to reinvest in terms of learning, technology and platforms. Hence if someone is more microsoft centric, Xamarin.forms is the order of choice, however, if they are more opensource and JS oriented then we have the alternative choices. The primary decisions therefore are reliant on mainly lower total cost of ownership and better adoption. Combined with unparalleled UI/UX and greater functional understanding, our apps make for compelling viewing and usage. This along with our philosophy of taking on responsibility for our deliverables and commitment to timelines, we are sure to delight you. We should also stress that when we deliver, we do not only address the UI/UX and functionality, we also ensure the other abilities of the app such as stability, performance, stress, maintainability etc are tested and reported on to our customers. 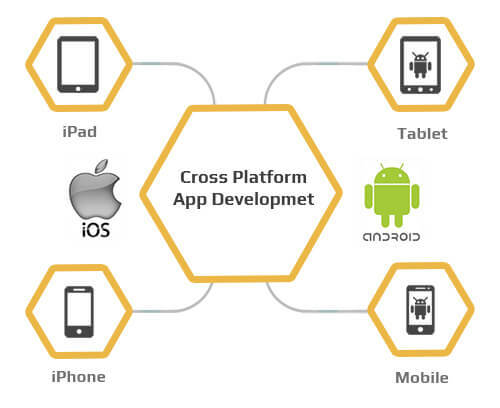 Do you wish to get more details on our cross platform mobile app development approach, please contact us .